In Our Last post, we talked about Removing Last Seen Timestamp from WhatsApp.There are lots of people who use their smartphones for doing those things which they generally do on their personal computer. For example, Many people like playing games on their smartphones, taking amazing photos and then editing them so today we are going to help such people by giving away the list of best image editing apps for iphone & ipad user. Many people like taking lot of cool images and if you are like those people then Im sure then you were also having some amazing photo editing apps on your iPhone,iPod touch or iPad. If you will start searching online for these photo editing softwares then you will find lots and lots of searches. You will get hundreds of photo editing applications both paid as well as free versions. This is of the free photo editing apps for iphone. This application contains many features which are extremely useful for editing and giving photo effects. You can easily adjust the image contrast, exposure, brightness, borders and many more. This best photo editing apps can be easily used by anyone with the basic knowledge of editing photos. User interface of this application is very simple and easy to use. You can download this free image editing software for iPhone from iTunes store. If you have ever used Adobe Photoshop on your windows or mac operating system then you will probably like this software. Photoshop Touch is the best iphone photo apps which brings the real photoshop editing experience on your iPhone. This is the most advanced photo editing tool available for iPhone. For Simple and advance editing this application has some tools which you will surely like to use. But unfortunately this application for iPhone is not free it costs around $9.99 which is worth paying. This application is different from all the applications which I have listed above as this application focuses mainly on enhancing your images without doing much editings. This application contains lots of photo editing tools and amazing effects for enhancing your photography beauty and quality. The user interface of this application is very simple and anyone can easily use this application without facing any problem. You can get this free photo editing application for your iPhone from Apple iTunes Store. This is one of the best photo apps for iphone which works really amazing with your iPhone camera. You can easily select many effects before clicking your images. You can also use this app for editing photos already existing on your phone. Not only this much but there is one amazing feature about this editing app is that you can simply make a photo story, Similar to make a photo collage. This application costs around $1.99. This is another famous photo editing software for iOS which let you adjust saturation, brightness, contrast and many more. You can also add cool and amazing effects easily with the help of this application. Unfortunately this application is not free of costs, you can purchase this application paying $0.99. Just ensure you focus perfectly on light gradient and angles of reflection. techniques to turn out to be honored together with beautiful photos. 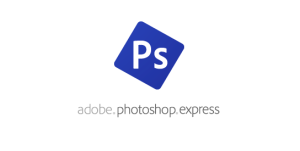 Adobe Photoshop Express is one of my favourite that i use for my iphone. Great list btw..